"Stop Wishin and Go Fishin!!!" We also carry a full stock of rods, reels, line, and other fishing, camping and hunting essentials. 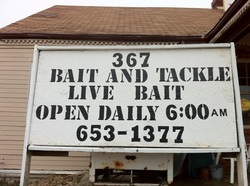 Owned and operated by river rats who love fishing for monster cats. We enjoy sharing our knowledge and enjoy helping in the hunt for the big ones. You can find some of your favorite brands like : Okuma, Zebco, Cajun Line, Eagle Claw, Pinnacle, Berkley, Quantum, Team Catfish, and South-Bend. Youths want to learn more about Boating and fishing ,earn Scout patches, or just want to know more about conservation. click on www.takemefishing.org , www.mdc.gov/fishing/learn-fish , for fishing reports on different rivers and lakes click here http://mdc.mo.gov/4183 . Here are a couple of great video tips from Team Catfish/Outdoor Brandz: http://youtu.be/L3Q00j9wpeg , http://youtu.be/r5JWjhvAADA , www.nutradeer.com, http://www.youtube.com/watch?v=DO_G5RK4qGw&feature=related , http://youtu.be/SYLgJ7O6Hz4 .